Welcome! Jan Davison is a local childcare coordinator for Cultural Care Au Pair. She loves working with families to help them in their busy, hectic lives by finding an au pair for their childcare solutions. Jan has been an LCC for nine years, and has helped more than 400 families in her community find flexible and affordable childcare solutions. Her immediate group of au pairs are living in Corte Madera, Larkspur, and San Anselmo. She chose to work for Cultural Care Au Pair not only because they are the largest au pair agency in Marin, but also the most professional, offering the best local support for both families and au pairs. There are between 400 to 500 au pairs in the Bay Area, and over 200 in Marin County. This is a great support system for our au pairs, where they can meet many new au pair friends. 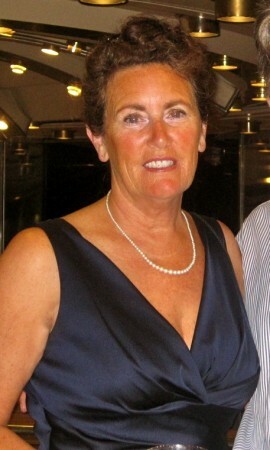 Jan was born in Wales, and with her husband, they moved to California over 22 years ago. Her daughter Hannah was five years old, and daughter Rachael was a very young six weeks when they arrived. They are now all proud to be American citizens. Jan’s 18 year old son, Richard, was born here. Jan has always enjoyed working with children. She was a teacher in England for 15 years, and for the last 9 years, has been a part-time kindergarten assistant at Bacich Elementary School in Kentfield, where she has been a member of the ‘Blue Whale’ & ‘Golden Monkeys’ class. One of the perks of being an LCC is meeting the kids and young babies of her host families. Jan also enjoys the cultural experience of meeting au pairs from many different countries. She loves to travel and is sometimes fortunate enough to qualify for the many wonderful trips that are organized by Cultural Care. In order to qualify, she continually needs to market new families, so she would be grateful for any referrals you may have! Please enjoy Jan’s website and feel free to contact her to learn more about hosting an au pair: 415-308-7760 or janet.davison@lcc.culturalcare.com.